Where to Begin with Stampin’ Up! Where to begin? Have you ever known that you wanted to try something new, but had no idea where to start? Then this post is for you. The Stampin’ Up! Annual Catalogue is a treat for the eyes and full of amazing products and inspiration, so if you’re new to crafting, where do you begin? I’ve divided up our main offering into sections with some examples for you. I’m also doing a separate post on my Top Five crafts for new beginners, so check that out too. Where to Begin with Stamping? Our beautiful stamps are the core of all we do. They are precise, well-made and create beautiful images. If you’ve ever used a badly made stamp, it may have put you off stamping altogether. Stampin’ Up! are the creme de la creme of the stamp world; they just look great. For starting with Stampin’ Up! 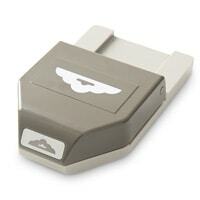 you have two options: Stamping based projects and stamping added projects. 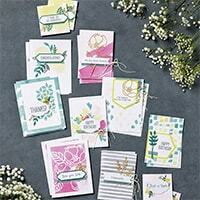 Stamping based projects are your cards and project kits (usually), stamping added projects are memory keeping albums, gift giving and some scrapbooking (although this really fits in to both!) So what are they all? Have a look through the descriptions below and which would suit your needs and circumstance. 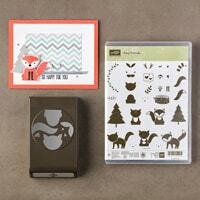 These are our pre-designed projects ready for you to stamp and assemble. Our all-inclusive options have stamps and ink and everything you need inside (I’d just add scissors), our other kits need stamps, ink and glue to complete. Whichever kind you choose, Stampin’ Up! have made your creative process easy and enjoyable. There are step-by-step instructions or you can go off-piste and make it your own. Three ink colours. My go-to’s are Night of Navy, Crumb Cake and now Fresh Fig. Three glues. My go-to’s are Snail Adhesive for paper and card, Glue Dots for embellishments and ribbons and Dimensionals to raise up important pieces. 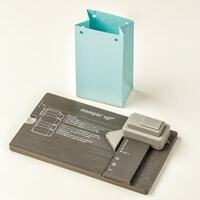 Notecards and Envelopes or a Paper Trimmer to make your own cards. If you’d like to step up your designs, or branch into cutting different materials and making other things like banners, bunting, brooches and 3D bags and boxes, you need the Big Shot. The Big Shot is an amazing tool. 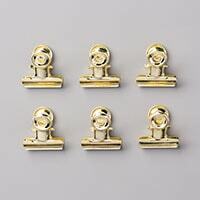 We can cut over fifty different materials (using some of the dies) and it makes perfect embellishments to any project, from tags, to 3D boxes and bags, bunting and banners, cake toppers and card embellishments. You can see how to use it here. 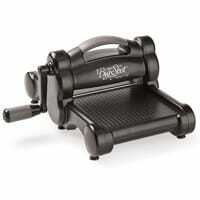 I wouldn’t be without this amazing tool; an essential investment piece but one that will serve you for years and years. Download an app that gives you free photos every month, you just pay the shipping. (I use FreePrints). Select an event (birth, wedding, holiday, Christmas, day out) and send them for printing. 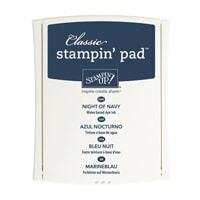 When they arrive, take our your Stampin’ Up! 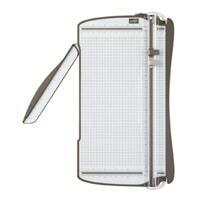 Photo Pocket Pages and lay your photos out on top. 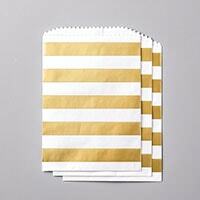 Arrange so they tell a story, or are where you want them and slot them into the pockets. Leave a couple of pockets free. 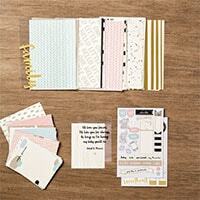 Take some journalling and quote cards out of your Memories and More collection that match your event and story. 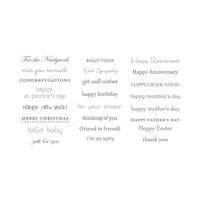 Make notes of your thoughts from the day, holiday, wedding, birth etc and write them on the cards. Slot the cards in around the photos. Realise that you just ‘crafted’! 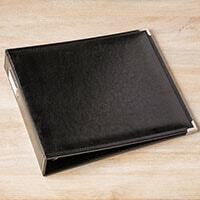 You can stamp and embellish your cards and photos or leave them as they are. The important thing is that you hand future generations a keepsake that includes your thoughts, your memories and your handwriting. It is so important is that you print your photos off. So many of my friends and family have lost photos from phones and computers. 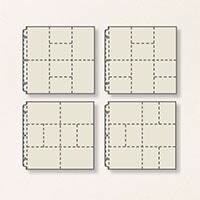 Print them off and put them into envelopes ready to make albums with. You won’t regret it. 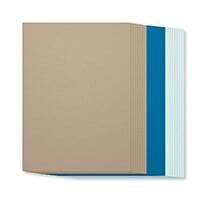 12″x12″ card in Neutral colours. All of your products need to be acid free, archival quality. 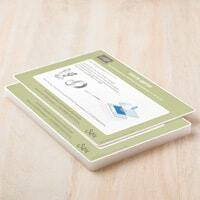 You don’t want precious photos damaged because of the card and papers you’ve used. Stampin’ Up! have a great selection of all the above and all of the equipment can be used for card making and gift giving too, so no extra expenses. Scrapbooking has the same effect as the Photo Pocket pages; preserving memories, handwriting and photos for future generations. 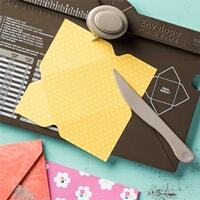 It’s a step up from Photo Pockets though so start there if you’re new to crafting. Another ‘non-crafty’ craft for you 🙂 Every year we give gifts to the people we love or have helped us; teachers, neighbours, co-workers, friends, family, children’s birthdays… the list is endless. To give a gift, we wrap it or place it in a pretty bag, basically we decorate it up and make it a treat to open. 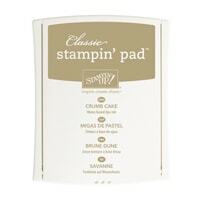 This is where Stampin’ Up! come in; instead of spending ££ on wrapping paper and gift boxes and bags, you can grab a tool or two to make them, or just buy them in bulk for less. We do two punch boards; the Gift Bag and the Envelope. They can also both be used to make boxes. Each board is £18 and will make bags, boxes and envelopes for the rest of your life. All you need is some paper or card cut to the right size depending on your gift. There are clear instructions and it’s so fun and easy to make. 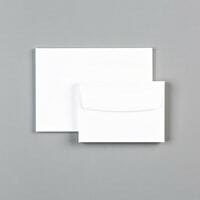 Each box or bag will cost you the amount of a piece of paper or card and you can vary the style and design, and even stamp on the card first. (See my videos here: Gift Bag and Envelope). 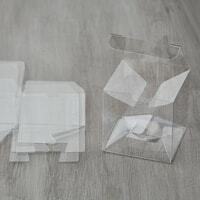 We have mini clear boxes, treat bags and patterned papers. All you need to do is add a ribbon, tag or embellishment and you have a beautiful gift ready to give to your loved ones. Both of the options above can be dressed up or left very plain. The choice is totally yours! Stampin’ Up! cater for a variety of experience, style and taste. You can choose from so many different avenues, other than card making (although definitely try that too!) So how about starting your crafting off with one of these and see how much joy you bring yourself and your recipient? Whether you’re handing down a keepsake, wrapping a party gift or making a handstamped tag, there’s something for everyone. I’m here to help and I’d love to answer your questions and help you find your joy in an activity that suits your time restraints, your circumstances and your likes. Please use the Contact Me tab above and send an email, or just comment below. I hope you’ve found this overview helpful, any questions? Just pop them below.